The wellness industry in India is estimated to rise and touch INR 500 billion. The wellness program alone is going to claim almost 25% of the market. India has been witnessing a huge growth in many industries after the globalisation hit the soil. The bright side of the immense makeover, the Indian economy is increased opportunities for the professionals. In the same way, the competition has become cutthroat too. The moment an individual loses a little pace, he or she is replaced with a more efficient option. This is why the growing tension and stress is demanding the wellbeing of professionals. The balance between the personal and professional life is considerably disturbed. The productivity of the corporations has decreased even if the smarter and better profiles are absorbed. This phenomenon is making almost every corporate brand to include the concept of corporate wellness programsin order to keep the employees healthy and happy. Needless to say, the Indian market for the corporate wellness industry is very prospective. The current statistics suggest that the Indian market holds only 2% of the international platform in this segment which clearly depicts that the market is still untapped. Every day, many corporate brands are including wellness programs especially designed for the employees to bust stress and beat the pressure. Both, the quality and quantity of the productivity in the workplace will increase automatically when employees will be physically and mentally fit. The programs are fabricated to improve the mental condition of the employees via certain activities performed in a group. Majority of the employees complain about the work culture and the environment of the workplace. The resentment slowly develops bitterness and the condition of the employee aggravates. The programs are specially designed to elevate mood and promote healthy habits. By incorporating the corporate wellness programs, a corporation can reduce the costs incurred by the healthcare expenditure of the employees. Physically and mentally fit employees tend to get sick often causing an unhindered workflow. What can be included in the programs? The wellness industry in India is estimated to rise and touch INR 500 billion. The wellness program alone is going to claim almost 25% of the market and it is expected that the growth of the particular segment will be almost 30% every year. The demand and supply gap in the corporate sector regarding the wellness service can be a huge opportunity for the entrepreneurs. The programs are aimed to enhance the lifestyle of the employees and create a durable impact on them. Routine checkups and workout sessions are planned for the entire crew. In fact, the companies are also hiring eminent consultants to provide proper assessment and guidance to the employees throughout the process. Individualisation is the key to success. From health coaching to weight management, diet consultation to workout instructions, every aspect related to good health is included. The franchises or entrepreneurial initiatives are patronised by the growing demand among the renowned employers in the Indian market. The best way to initiate a prospective venture in corporate wellness programs is seeking a good banner. The infrastructure and the equipment needed for setting a proper venue for the programs will be instructed by the executives. As Greg Anderson said, “Let us be about setting high standards for life, love, creativity, and wisdom. If our expectations in these areas are low, we are not likely to experience wellness. Setting high standards makes every day and every decade worth looking forward to.” Corporate sectors are investing in these programs in order to retain the wellbeing of the employees and get a good return in the future. 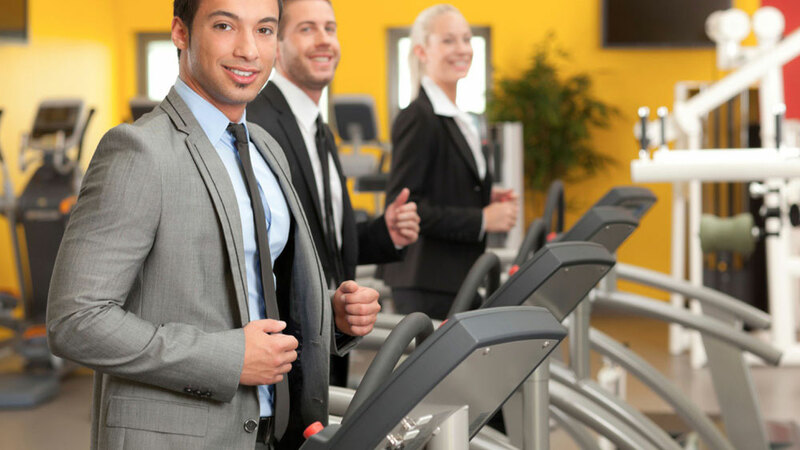 Various companies offering corporate wellness programs are creating landmarks in this sector. Truworth, Meta Wellness, The Apollo Life, Sky Fitness, etc are some dazzling names in the industry that cater the specific needs of a corporate in a customised way. Big corporate hubs in all types of industries are incorporating the international trend to keep the employees healthy. The soaring growth of the Indian market offers a great prospect in this segment as the employers are realising the value of real assets of the company. There is a huge chance of success as the industry is rapidly scaling to meet the challenge of the vast market. Employee Wellness Programs in India..
How To Enhance Your Franchise Relationships?.. QSR Chain Döners and Gyros to Enter India..